A trip on a camel’s back to the depths of Moroccan Sahara to spend the night in tents with Bedouins. March 2012. 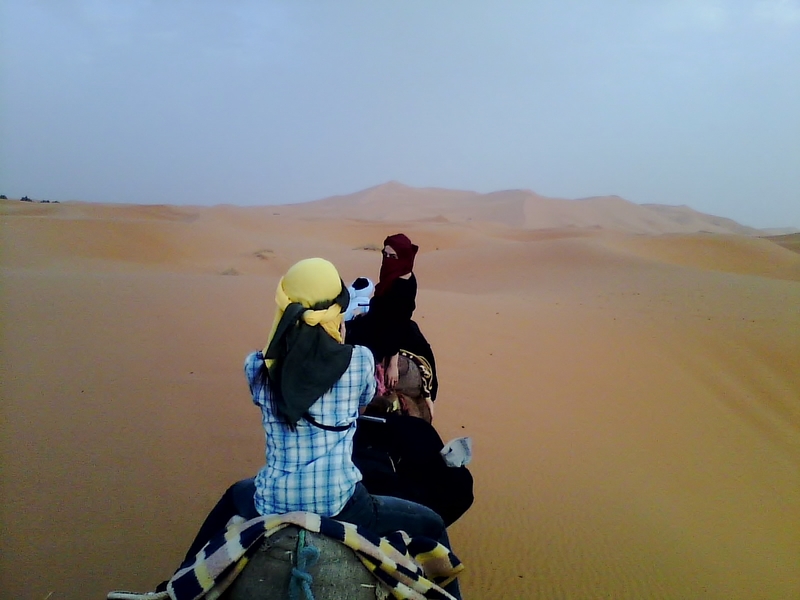 This entry was posted in Travel and tagged Adventure, bedouin, camel, Morocco, north africa, postaday, sahara, sand, Travel, weekly photo challenge. Bookmark the permalink. Makes me think the book “The Little Prince” by Antoine de Saint-Exupéry. Beautiful photo! Ha ha! Thank you very much! :-) I am glad you like it! Oh, wow! Did you get to see the desert stars with no ‘light pollution’? I didn’t take any pictures then, if that’s what you mean. It would’ve been innapropriate to spoil such a magic moment with clicking of a camera. It’s all in my head, stored as an unforgettable memory. Bummer … but I know what you mean. Hard to beat that for adventure! Oh my gosh! Adventure is the right word for this! How wonderful for you to have been able to do this! LOL, ok — you win!